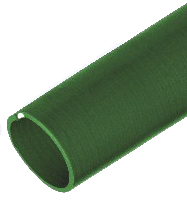 General used with electrical Monoblock and oil or diesel engines. All types of water distribution in irrigation and agriculture.Suction & Delivery of Saline water, Light acids, alkalies & other light chemicals. Conveying of Raw materials in form of Granules & fines in process industires. General pumping & suction application in agriculture industry & construction. Widly used with elctrical mono block pumps and oil or diesel engines. Suction and delivery of saline water, ligt acids , Alkalies & other chemicals . Conveyence of waste, sludge, slurry and other waste. Vigorous suction and & delivery application Industry, Civil Engineering & mining construction, Conveying of Raw material in form of granuels & fines in process Industries. Suction and delivery of saline water, light acids , Alkalies & other chemicals . Conveyence of waste, sludge, slurry and other waste. also uses in fishries and shipping industires. Vigorous suction & delivery applications in coal and mineral mines, Stone & lime quarries, Heavy Engineering, Constructional Engineering, Aqua culture, Shipping , Sewage disposal,discharge of concrete, Cement industies, Chemcial and petrochemical indusctires, Paper Mills , Fire fighting equipments etc. Conveying various fuels like diesel, kerosene , Liquid petrolium products, Lubrication oils & Transformer oil, Mineral & Light oils etc. 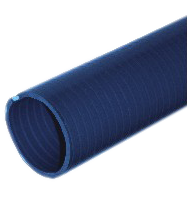 , due to its extraordinary characteristic of oil & petroleum product resistance. 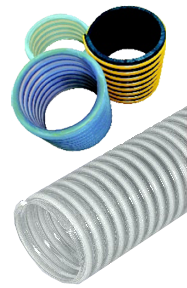 Ducting for a wide range of applications including air heaters, De-humidifiers, oil & mist etraction, Material drying, ventilation, space heaters, cabling etc. in industries, mines and domestic places. 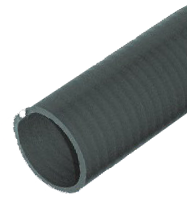 Ducting for a wide range of abrasive resistant solutions such as grain handling, plastic granules, street cleaning, food ingredients and wood chipping. Collection of fibre waste, saw dust and dust of metal grinders, Transportation of powders, Gases and liquids. All general Conveying and handling applications in chemical, Mining & automobile industries, Shipping & for sand blast proceedure. General dust collection, vacuum applications, dust extraction processes. Can be used at most awkward curves & bends without any stiffiness. 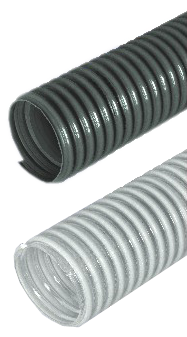 Meticulous spiral reinforcement made from rigid Pvc in soft Pvc wall ensures high impact, crushing & kinking resistance as well great flexibility. Copyright © 2013, divyaimpex | All rights reserved.